At Corpus Christi Garage Door Repair, our garage door opener repair service is one of the most common services we provide to our customers in Corpus Christi, Rockport, Aransas Pass and Port Aransas. The convenience of such an item is undeniable, not to mention the safety and convenience your family needs when getting in and out of your garage. Our team services most major makes and models of garage door openers. We know that garage door opener repairs are always unexpected and inconvenient, and that’s why we always focus on quick responses to all customer inquiries. Many garage door openers come with safety sensors that project an infrared light beam across the garage door opening. The opener will automatically reverse door operation if anything interrupts the light beam or the garage door actually comes in contact with a person or object. Sometimes many homeowners encounter problems with these sensors, and that’s when we can help. Additionally, for security, the remote controls provided with garage openers are now equipped with the latest rolling code technology. Each time the remote button is pressed, a new randomly generated code is created. While you won’t have to worry about a neighbor’s remote accidentally opening your garage door, you may sometimes have problems issues and find that your remote seems to be malfunctioning. We can help with this too. The most common opener related repairs we see are realigning of eyes and replacing stripped gears and sprockets. Whatever the issue, our team is ready and able to diagnose the problem and determine a solution. As a business owner or homeowner, you most likely use your garage door opener multiple times a day without giving it a second thought. However, if your opener isn’t working properly, it could cause a great deal of inconvenience in your daily routine—especially in inclement weather. Whether you require a repair, a replacement, or simply a new remote, we’ll have your garage door up and running again in no time. Particularly when it comes to commercial garage door opener systems, these systems are designed for high-frequency use and meet current commercial safety requirements. Commercial doors and openers are generally required to operate much more frequently than residential garage doors. Because of this, businesses require industrial strength garage door openers that can handle continuous work. Fixing your garage door opener may save you money when compared with the purchase of a new opener. Often, we recommend repair for this reason. Our fully stocked trucks carry a full complement of opener parts, so we are prepared to fix your opener on the first visit. Often on our service calls, we find that customers’ garage door openers are malfunctioning because their garage doors are not in balance. If your garage door is unbalanced, then the door will exert too much weight on the opener and strip the gear or reduce the life of your motor. Doors may be out of balance because the wrong size spring was used or the spring has "stretched" as it nears needing to be replaced. As a family-owned business, we stand behind our servicemen and trust their expertise to handle any situation. 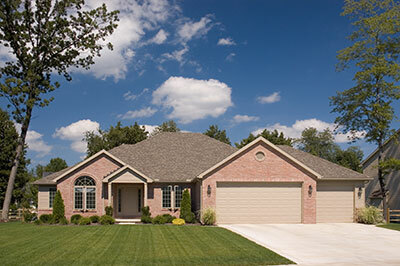 Our trained technicians will satisfy all of your garage door opener needs quickly and efficiently. They are extensively trained to make sure they can handle all types of garage door opener repairs and products from all of the leading manufacturers. We’ll work closely with you to determine what the problem is and determine what the best solution is depending on your unique needs. Many times customers come to us with complaints about their garage door opener, when the problem truly lies with their garage door remote. Most garage remotes open are manufactured with a single button or multiple buttons. The single button is usually made to open and close the door simultaneously. The multiple buttons offer you several options when opening or closing you garage gate. There are also those that can help you adjust the speed in which you want to open the gate depending on the urgency. You can let the gate open slowly or a bit faster if you are in a hurry. In cases where you have multiple garage doors, the multi-button remote garage open will help you choose the gate that you want to open without interfering with other gates. Other garage remote openers have advanced options such that you can switch on your garage light using your remote. Our team suggestions that you should program your remote garage opener correctly for it to operate efficiently. If you need help with this, never hesitate to contact our staff at Corpus Christi Garage Door Repair.